Susan graduated in 1988 from St. Lawrence College in Kingston as an Early Childhood Educator. She is a member of the College of ECE. Lisa graduated in 1991 from St. Lawrence College in Kingston as an Early Childhood Educator. She is a member of the College of ECE. Lisa has worked for Rural Frontenac Community Services since 2002 and currently works with preschool children. Marcy graduated in 2013 from Algonquin College in Pembroke as an Early Childhood Educator. She is a member of the College of ECE. Marcy has worked for Rural Frontenac Community Services since 2015 and currently works with the preschool children. Deanna joined Rural Frontenac Community Services in September of 2017. 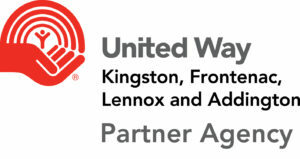 She provides Enhanced Support to children in the day care who receive services from Community Living Kingston, Preschool Services. Deanna is also a supply educator, so you may see her with the different age groups. Sara graduated in 2015 from St. Lawrence College in Kingston as an Early Childhood Educator. She is a member of the College of ECE. Sara worked in Kingston prior to joining Rural Frontenac Community Services in August of 2018. Sara is the educator for our toddler children. Anne graduated in 2017 from St. Lawrence College in Kingston as an Early Childhood Educator. She is a member of the College of ECE. Anne has worked for Rural Frontenac Community Services since August 2017. Anne is the educator for our infant children. Marjory Hanna is currently working on her Early Childhood Education Diploma through distant education at Algonquin College in Perth. Marjory joined Rural Frontenac Community Services in September of 2018 and assists Lisa with the children in the preschool room. Anne is our Food Services Coordinator and has worked for Rural Frontenac Community Services since May 2017. Anne is a long time resident of Sharbot Lake and former owner of the famous Rising Bun Bakery. Caylie joined Rural Frontenac Community Services in September of 2018. Caylie is our Food Services Assistant and prepares meals for the Meals on Wheels, Diners and the Day care. Patsy ensures that our building is clean for the many young children who pass through the building each day. She also works in the Daycare as a supply staff. Patsy has worked for Rural Frontenac Community Services since January 2017.